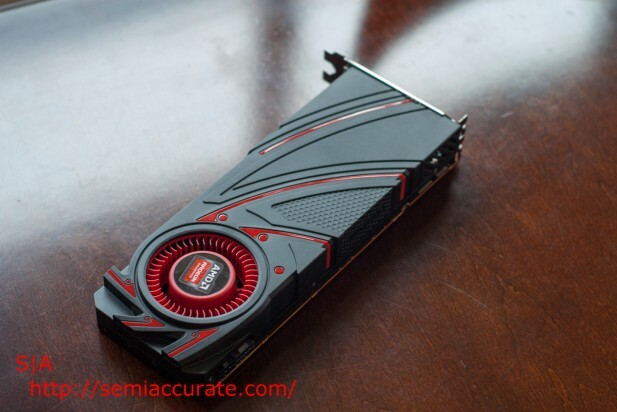 Nearly a month after the Hawaii event the launch day of AMD’s Radeon R9 290X graphics card is finally here. When AMD initially announced the 290X it gave us a few tantalizingly vague specifications like 5 TFLOPs of compute, 300 GB/sec of memory bandwidth, 4 billion triangles per second, and more than six billion transistors. 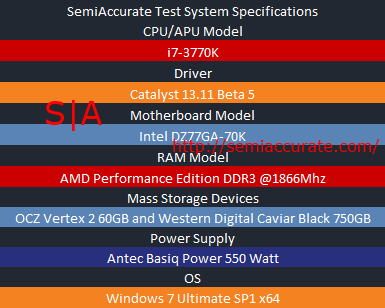 Now we have the full specifications and benchmarks to boot. 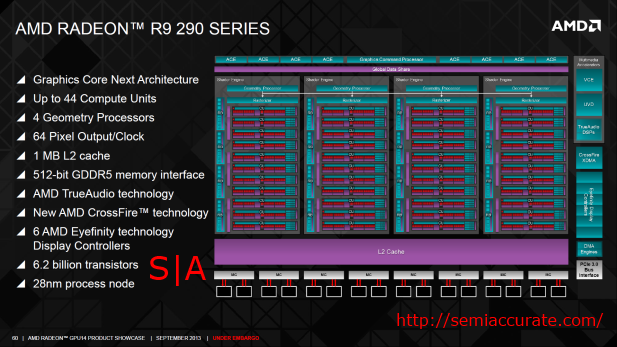 The R290X is a perfect example of a graphics architecture getting more efficient as you scale it up. 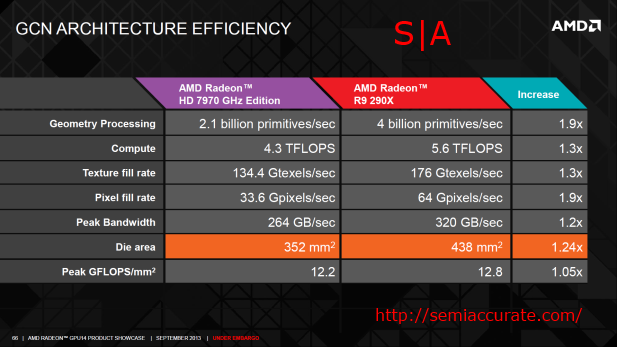 Looking at the raw specs it’s clear that the 290X is more powerful than the 7970GE it replaces in every metric. 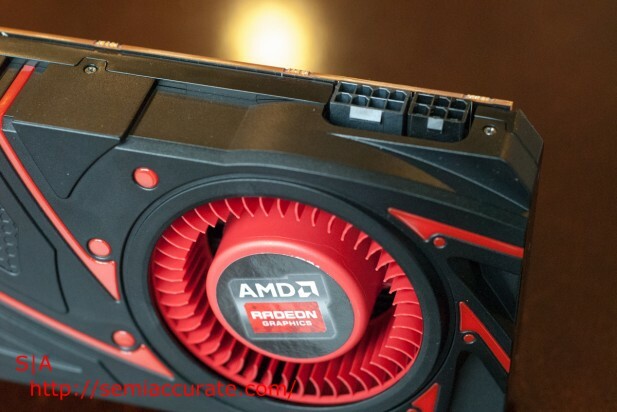 It seems that AMD has left no stone unturned in its effort to breath new life into the high-end graphics market. On an architectural level the 290X, codenamed Hawaii, has 12 more compute units than Tahiti which is the chip found in the 280X and 7970 GE. It also has a much wider memory interface weighing in at 512-bit compared to 384-bit on those other two cards. AMD has also done a lot of tweaking to improve the tessellation performance and the compute performance of its chips. Charlie will have a deep dive on the architecture of the Hawaii later, but for now suffice to say that it’s quite an improvement. 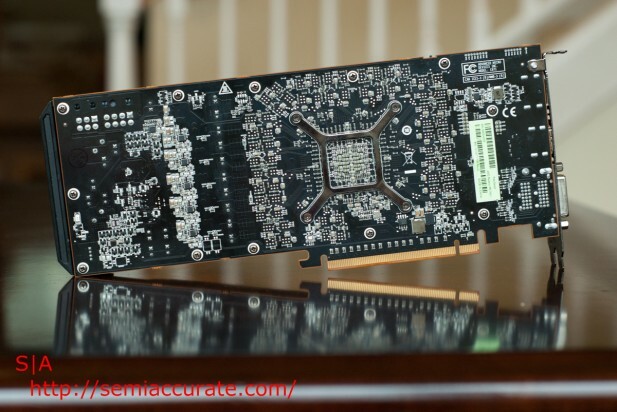 Unlike its dual-GPU offerings AMD is doing its best to stay within the 300 Watt TDP specification, thus only one eight-pin and one six-pin PCI-E power connector are required to bring this GPU to life. There’s no bat-mobile here as AMD gone with a seemingly air-flow inspired shroud design. Interestingly there’s a slice near the middle of the card that’s textured with a hexagonal pattern. 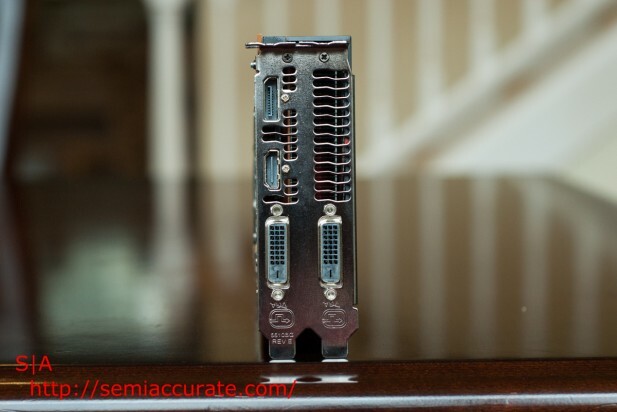 As far as I/O is concerned AMD has fitted the R9 290X with two DVI ports, one HDMI port, and a single full size display port. Considering how much power AMD has packed into this board the back of the PCB is surprisingly sparse. No doubt the AIBs non-reference designs will fix that. If you look along the top edge of the card between the heatsink bracket and the I/O panel you’ll notice a little BIOS switch that toggles between what AMD calls Quiet mode and Uber mode. Quiet mode keeps fan speeds at 44 percent and Uber allows the PowerTune to clock the GPU higher by giving the card more thermal headroom to work with. Before we start please note that all of our benchmark were run at a resolution of 1080P on a system configured as shown below in Quiet mode. 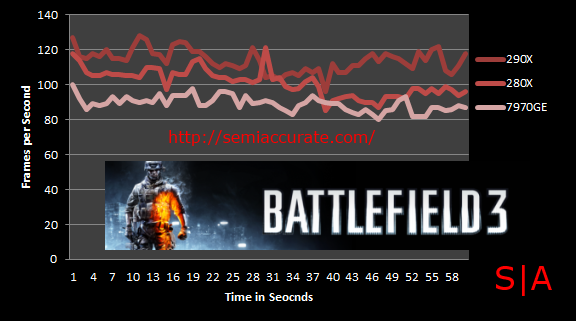 In Battlefield 3 things are lining up just as you might expect. It’s important to note that our 280X is a Vapor-X card from Sapphire and so it comes with a mild factory overclock which allows it to best our reference 7970GE. 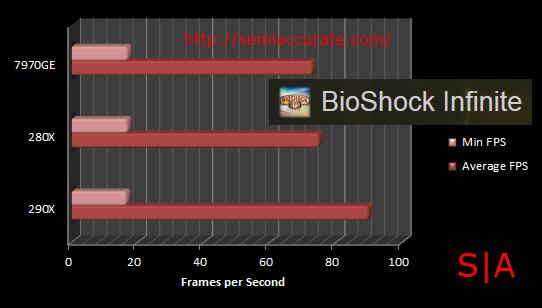 In BioShock we used the game’s built-in benchmark set to ultra quality with depth of field and anti-aliasing. 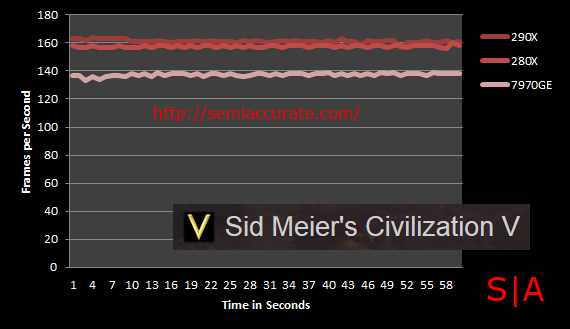 Civ V is barely a challenge for any of our contenders with the 290X maintaining a slight lead over the 280X. 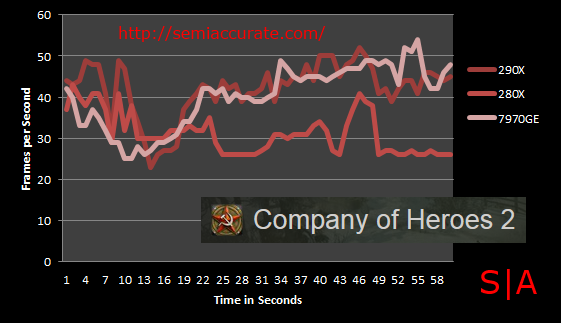 In Company of Heroes 2 things get a bit muddled due to some run to run variance, but all of cards are playable in this game. 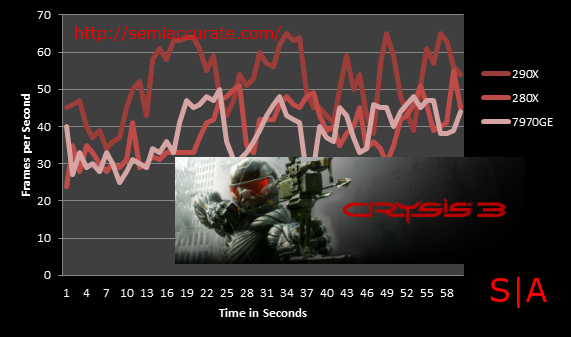 In Crysis 3 the 290X takes the lead again as the 7970 GE and the 280X stick close together. 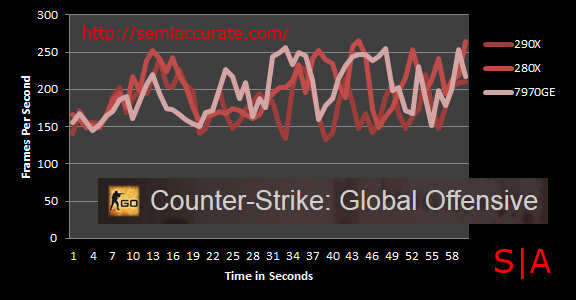 In CS:GO we once again find a game where obviously 1080P is just too easy for our contenders. 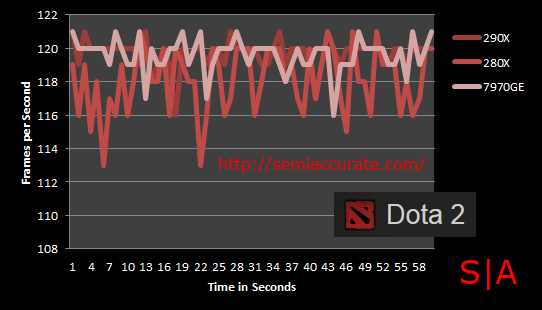 DOTA2 is much the same story as CS:GO and Civ V. You really need a graphically intensive game or a large resolution display to slow these GPU down to the point where benchmarks can show and real difference between them. 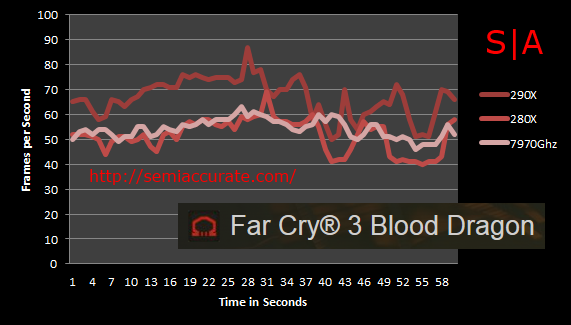 It looks like Far Cry 3 is up to the challenge though as the 290X puts some distance between itself and the 280X. So what we have with the R9 290X is a silly fast GPU that requires a really graphically intensive game or a multi-monitor setup to slow it down. 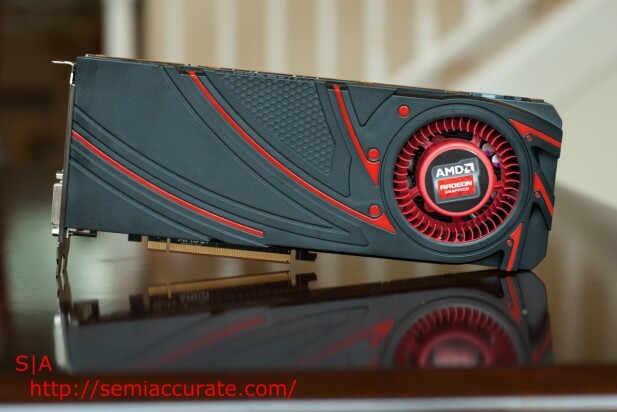 It’s certainly faster than any of AMD other high-end single GPUs and considering that AMD is launching the card at $549 it’s a much better value proposition than its competition, namely the GTX 780. 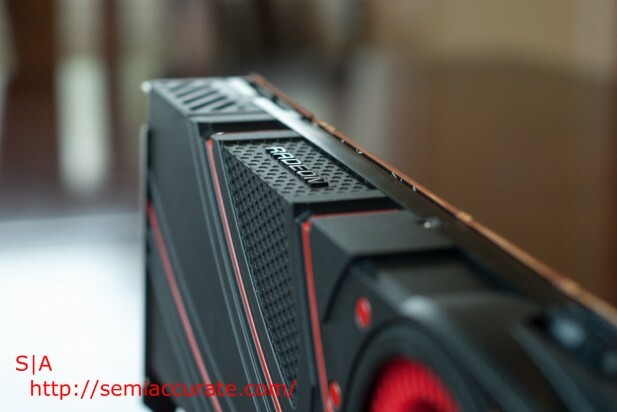 AMD spent a lot of time talking about 4K support at the event in Hawaii and with a card like the 290X leading the charge it’s clear that they’re serious. It’s a bit of a tragedy then that the rest of the industry isn’t ready for 4K monitors when it comes to issues like pricing and availability.